Dimensions 0 by 4.19 by 6.75 in. Dominique OâBrienâher friends call her Moâlives a curious double life with her husband, Bob Howard. To the average civilian, theyâre boring middle-aged civil servants. But within the labyrinthine secret circles of Her Majestyâs Government, theyâre operatives working for the nationâs occult security service known as the Laundry, charged with defending Britain against dark supernatural forces threatening humanity. 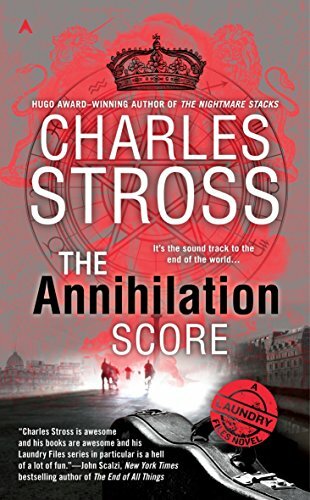 About: Hugo Award-winning author Charles Stross presents the next case in The Laundry Files, âa weirdly alluring blend of super-spy thriller, deadpan comic fantasy, and Lovecraftian horrorâ (Kirkus Reviews). About: From the Hugo Award-winning author of The Rhesus Chart comes another supernatural case from The Laundry Files.